Congratulations to Edie Brous RN, JD who is now serving as a Director onThe American Association of Nurse Attorneys Board. Edie is currently in private practice as a consultant and teaches seminars on legal aspects of practice and documentation. Her legal background is in litigation, medical malpractice defense, licensure representation and pharmaceutical class action. 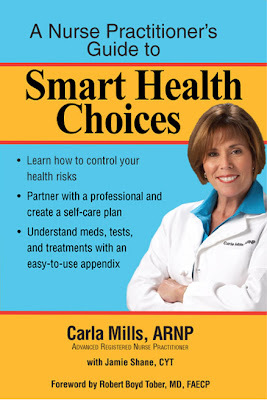 Her nursing background is OR, ER, Hyperbaric Oxygen, ICU, education and management. She has a Master's degree in critical care nursing and public health. 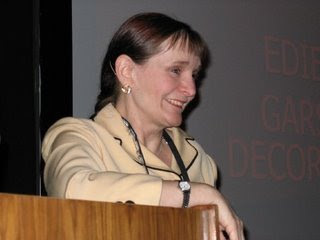 More biographical information about Edie and other members of The National Nursing Network Organization Board of Directors is available on our About Us webpage. "Whereas, the National Nurse would serve as an effective complement to the existing Office of the Surgeon General, Department of Health and Human Services; and the position of Chief Nurse of the United States Public Health Service (USPHS) is uniquely qualified to become the first National Nurse, and would be a visible symbol of nursing, and would be able to deliver a philosophy and concept to promote disease prevention and health promotion." Representative Moody and Ms. Orre share a lighter moment during committee hearing. Debbie Orre provided compelling testimony as to why the Office of the National Nurse is needed. "There are three main purposes for establishing the Office of the National Nurse. The first is to provide a systematic method for mobilizing nurse volunteers and other healthcare providers at the local level. Their aim is to enhance prevention and improve health outcomes at the community level with guidance from state and local leadership so they are not acting in silos. Secondly, this Office will increase the visibility of nursing, enhancing prestige and supporting recruitment for us and for other healthcare professionals. With the shortage of nurses looming ever larger, a federal Office for Nursing will provide coordinated, strategic planning and assistance. The third reason this office is so desperately needed is so that nurses will have a national and symbolic leadership Office in place to direct us toward a new philosophy and cultural shift with prevention as a focus rather than intervention in directing the care we provide to our patients." Representative Trinka Russell, who is also a nurse, also provided testimony in support of establishing an Office of the National Nurse. The resolution is now headed to subcommittee, where members will decide whether to bring it to the full House. We truly do need a focus on prevention. My sister is a nurse and I support having an Office of the National Nurse. Thank-you, neighbouring NH for caring for your citizens. I hope VT will soon follow. This is a no-brainer. Sane, well-thought out and worthy of support. A National Nurse is the most exciting nursing development in my lifetime! 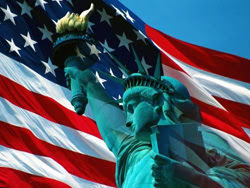 I’m proud to be an American, proud to be a nurse, and proud to serve both my country and my patients. Finally, I am hopeful that we will have real nursing leadership to do what we all went into this profession to do: make a real and positive difference is others’ health. I pray that New Hampshire helps pave the way for other states to jump aboard. Last month, Teri and Alisa had the privilege of meeting with Governor John Kitzhaber MD to discuss the Office of the National Nurse initiative. 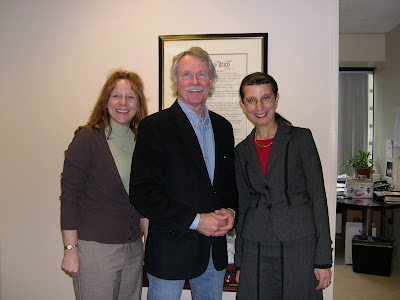 Governor Kitzhaber provided excellent advice and suggestions during the time spent with him. For readers who may be unfamiliar with Governor Kitzhaber, here is some biographical information from his website. "John Kitzhaber was born in Colfax, Washington on March 5, 1947. He graduated from South Eugene High School in Eugene, Oregon in 1965. He attended Dartmouth College in Hanover, New Hampshire, graduating in 1969 with a bachelor’s degree in biology. In 1973 he graduated from the University of Oregon Medical School in Portland, Oregon and served his internship at General Rose Memorial Hospital in Denver, Colorado. Following his internship, he settled in Roseburg, Oregon where he practiced emergency medicine for over 15 years. In 1978 Dr. Kitzhaber was elected to the Oregon State House of Representatives. In 1980 he was elected to the first of three terms in the State Senate and served as Senate President from 1985 to 1993. His legislative career was marked by active leadership in the areas of public education, community development, environmental stewardship and a wide variety of health care issues including: long-term care, resource allocation and uncompensated care. While Senate President he authored and implemented the groundbreaking Oregon Health Plan. In 1994 he was elected Governor of the State of Oregon and was reelected to a second term in 1998. 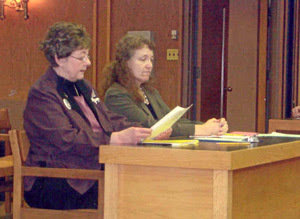 In January 2003 Dr. Kitzhaber began serving as President of the Estes Park Institute, which conducts six annual educational conferences for community hospitals. Dr. Kitzhaber serves as the Director for the Center for Evidence Based Policy at Oregon Health & Science University in Portland. He holds an endowed Chair on Health Care Policy with The Foundation for Medical Excellence, an Oregon based public, nonprofit educational foundation. 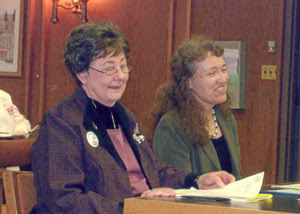 On January 13, 2006 Dr. Kitzhaber launched The Archimedes Movement – committed to building a meaningful opportunity for engagement through which the growing concern over our health care system can be channeled into effective action The goal is to create not only the vision for a more equitable and sustainable system but also the tension necessary for its realization." Over the holiday break, Physicians for Social Responsibility (PSR) sent us great news of their endorsement for the Office of the National Nurse initiative. PSR is a non-profit advocacy organization that is the medical and public health voice for policies to stop nuclear war and proliferation and to slow, stop and reverse global warming and toxic degradation of the environment. PSR is made up of 32,400 medical and health professionals and concerned citizen members, 31 PSR chapters, over 60 Student PSR chapters at medical and public health schools, and over 25,000 e-activists, along with national and chapter board members and staff. PSR is committed to a safe and healthy world. We appreciate your efforts to draft legislation creating the Office of the National Nurse. As an organization committed to public health, we believe this effort is very worthwhile and should generate more awareness about health issues with the American public. Though HR 4903 was not passed in the 109th Congress we hope you will continue with efforts to introduce and pass the measure during the 110th Congress. As you know well, it often takes several years to build the momentum for a legislative initiative, and we believe that support is growing. As you pursue passage of the new bill, please feel free to call on Physicians for Social Responsibility and our 32,000 members for support. 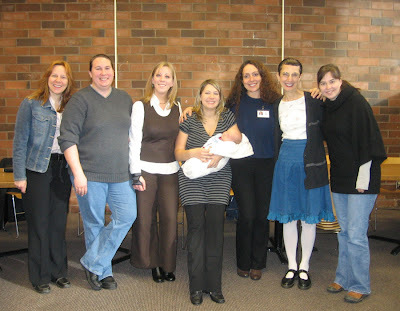 On Saturday, February 9, 2008 Portland Community College (PCC) nursing students will join Tuality Healthcare, the AARP, Medical Reserve Corps (MRC), the OR and PCC Student Nurses Associations, and the NNNO to present a community health fair. The goal is to educate citizens of Hillsboro and surrounding areas about disease prevention and health promotion focusing on Healthy People 2010 goals and objectives to 1. Increase quality and years of healthy life, and 2. Eliminate health disparities. The AARP will be available to talk about services their organization provides and the MRC will provide information about emergency preparedness. Groups of 4-5 student nurses will have tools in English and Spanish that integrate health literacy concepts on these topics: diabetes education, nutrition, cancer information, heart disease with blood pressure screening available and tobacco education. Within the stations, students will talk one-on-one with clients to determine potential risks or concerns, current health status and health literacy. Clients will be encouraged to take steps toward improving overall health through student’s use of motivational interviews. An evaluation tool will be included in order to gain awareness of what worked and what didn’t for each participant. Visit The National Nurse website on October 14, 2007 for more information on Motivational Interviewing. This is the assistant editor for Hospital.com which is a medical publication offering hospital news, information and reviews. We also cover a wide variety of medical topics, some of these articles being relevant to nursing schools and issues around their prospective students (scholarships, grants, etc). We are in the process of giving the nursing industry a dedicated section from our site and are currently seeking online resources which can be offered to our readers of this section. If possible I would like Hospital.com to be included within your blog roll, offering our information as a resource to your readers and essentially building a relationship between our sites. Please let me know if this addition can be made, Thanks! Thank you to DMAA President and CEO Tracey Moorhead and the DMAA Board of Directors for their endorsement of the Office of the National Nurse initiative. I write on behalf of our Board of Directors and the more than 200 members of DMAA: The Care Continuum Alliance in support of your efforts to recognize the important role nurses play in promoting preventative care in this country. Your endorsement of symbolic national nursing leadership to support a philosophical and cultural shift toward prevention in the U.S. health care system is essential and important to our members. DMAA supports your efforts to rename the Chief Nurse Officer of the U.S. Public Health Services as the "National Nurse" to elevate the authority and visibility of that office in the national health care debate. Chronic conditions - diabetes, asthma, obesity, and others - pose the single greatest threat to the health of Americans and our nation's economy. Nurses provide key care services in the prevention and management of these conditions and we commend your efforts to recognize their work, promote prevention, improve outcomes, and provide guidance for state and local leaders in mobilizing nurse volunteers. The new administration and Congress - and their clear commitment to wellness and prevention - present an ideal opportunity to advance the concept of a National Nurse and make it a reality. DMAA and its members support legislation to achieve these goals and look forward to working with you on this important issue. Please do not hesitate to contact DMAA should you need further information or assistance. 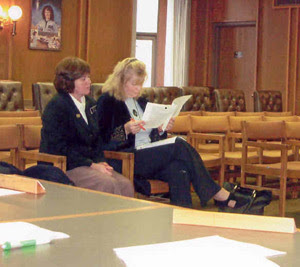 Just in time for the New Hampshire primary, Beka at the Medscape Nursing blog offers a commentary on the Office of the National Nurse initiative called Time for Change. Beka frames the question to readers, "Do we need a National Nurse?" Her conclusion is accurate when she claims, "The promoters of the Office of the National Nurse will not accept the status quo; they envision a nation where everyone can enjoy improved health and more productive lives." Comments are welcome. Visit the Medscape Blog website and add your own. As Martin Luther King professed, "Our lives begin to end the day we become silent about things that matter." News flash- Health Affairs reports the United States comes in last in the latest rankings on preventable deaths due to treatable conditions among 19 leading industrialized countries. True, the inability to afford health care provides the strongest rationale for this, but wouldn't an Office of the National Nurse be a strategy to ensure better public health outcomes through health education and prevention? Press Release – HIV HAS BEEN IMMOBILIZED!!! Please feel free to share this important information with as many people as you wish! … because, in our country, preventable chronic diseases are causing immeasurable human suffering at unsustainable monetary cost. Because, it is not mysterious diseases that plague us, it’s our own poor lifestyle choices that are harming us. These chronic diseases – caused by our lifestyle choices – are what are overwhelming the capabilities of the healthcare system. We must learn to take better care of ourselves. So who is going to teach us? America already has a Doctor – the Surgeon General. What America really needs now is not new medical breakthroughs or Nobel prize-winning discoveries. What America needs now is a Nurse – a National Nurse. A National Nurse would bring nursing’s commitment to patient-centered, patient-controlled care to Washington. A National Nurse would promote a policy of prevention through education. This is the critical missing piece in our current health care system. Until the healthcare system is brought into balance and becomes more responsive to the needs of patients, how can we expect to turn back the rising tide of diseases caused by our own behaviors? Let your voice count, sign the petition calling for a National Nurse. I was so delighted to learn about the National Nurse Campaign. Nurses are amazing -- very happy to support this initiative, which I mentioned today in my blog Daily Mitzvah. Good luck! Are you a nurse job seeker? Memphis is one of the country that need more nurses. Find your desired Nursing Jobs Memphis now.